This dry, tannic cider should be served at cellar temperature : ~55 degrees. Pair with nutty cheeses like cave aged cheddar, savory meats like Merguez sausage, and all manner of vegetables, especially grilled. The story of the 2016 Albee Hill is about timing and patience. It’s also about blending and our reaffirmed belief that much of the cidermaker’s art lies in blending. And waiting. 2016 was one of our most challenging vintages to date. An early March warm up pushed bud phenology three weeks ahead of schedule, only to be followed by record breaking cold in early April, which killed buds and left us with 30% of a normal crop. As the growing season progressed, it got unusually hot and stopped raining. Four months without rain left our un-irrigated trees stressed and thirsty by fall, with a small crop of even smaller, dry apples. When we sat down to blend this bottling, our choices were limited. Much of the blending had already been done, as we mixed many varieties at the press just to get enough apples to fill a tank. We struggled to make a good cider out of what we had, chalking it up to the tough year and hoped the cider would get better in the bottle. As our release date neared several months later, someone had the crazy idea to reconsider our blend. 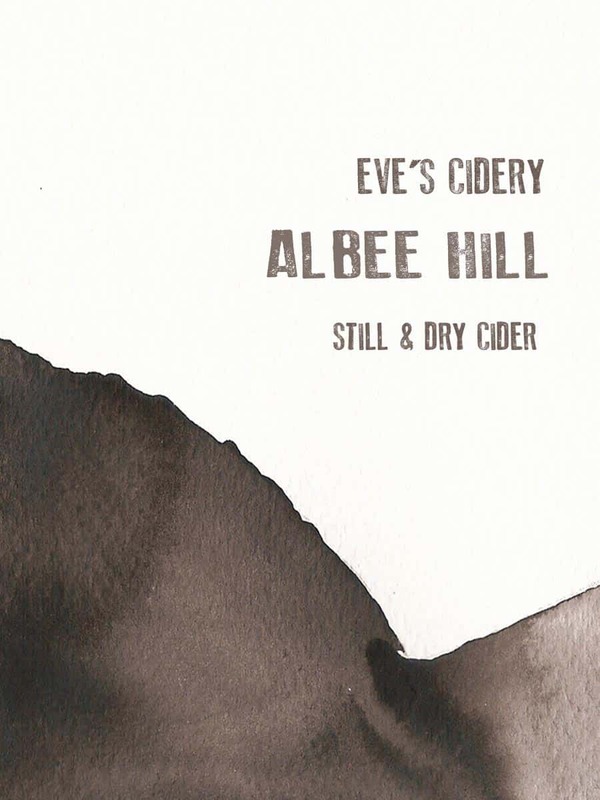 Almost as if by magic, this gem of a cider emerged by blending an ok blend, with a one-off batch that had been too harshly tannic to make it in to our regular blends. So we ‘un-bottled’ the Albee Hill, made a new blend, and rebottled. Blending. 1 + 1 doesn’t always equal 2. Sometimes it equals 10. Synergy is when the sum is greater than the parts. It’s a real thing, but I can’t explain why. Patience. Sometimes it’s better to wait. Aromas emerge where they were once muted. Tannins that seem hard or bitter can soften and evolve.